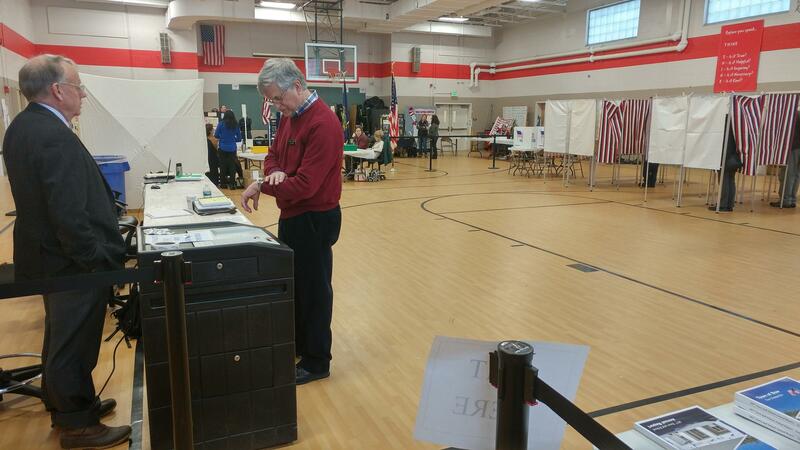 Today, voters in towns around the state will cast ballots in local elections. 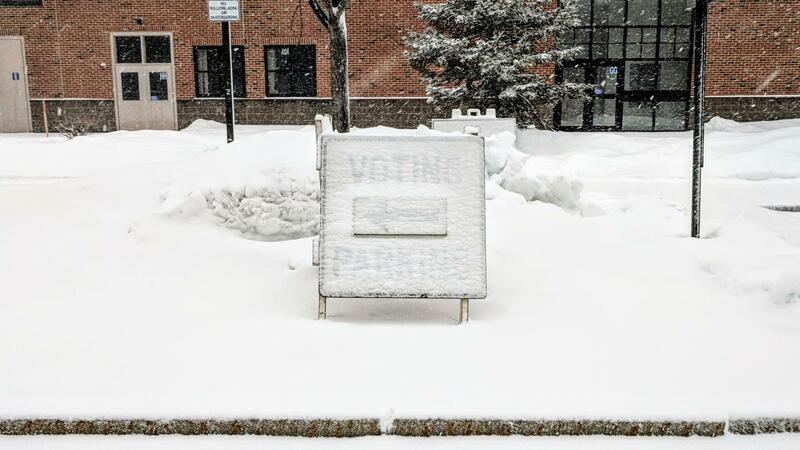 Like last year, a severe snowstorm is complicating matters, especially in the wake of the state's claim that towns don't have the power to reschedule local votes. 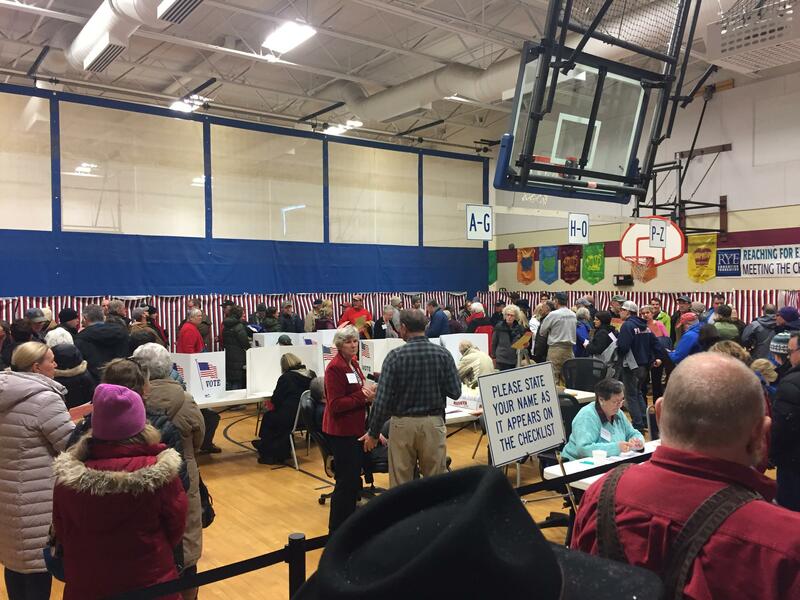 NHPR's reporters are in the field covering polls around the state throughout Town Meeting Day. Bookmark this blog and check back to see photos, hear from voters, and more. Click here for NHPR's coverage of local issues leading up to Town Meeting Day. In Lebanon, voters hit the polls early to avoid the worst of the snow. Longtime residents Sheila Moran and David Millstone told NHPR's Britta Greene that at this point, March storms don’t come as a surprise to them. In fact, they say it adds a bit of flair to the election season. 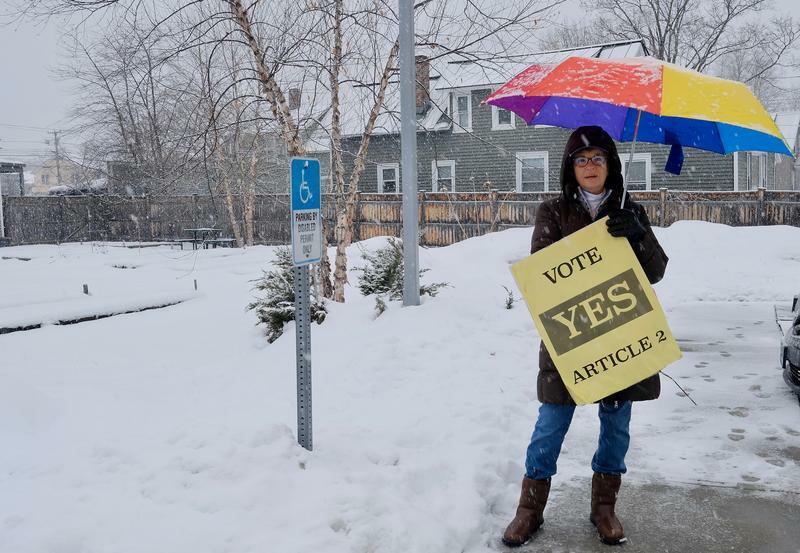 In Exeter, voters are weighing a $23 million dollar expansion to the town's middle school, as well as renovations and expansions of both the public library and a local park. 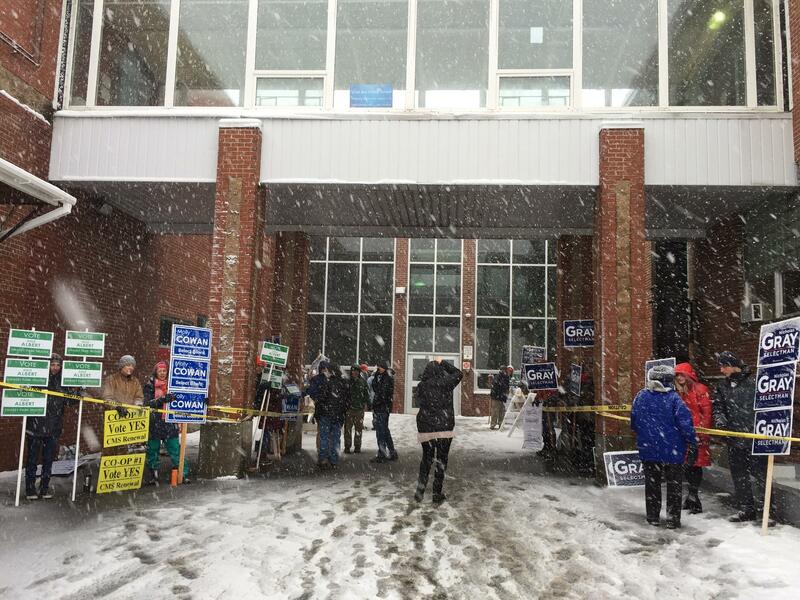 As NHPR has been reporting, weather conditions on the Seacoast are deteriorating rapidly, creating challenging travel conditions for voters headed to the polls. 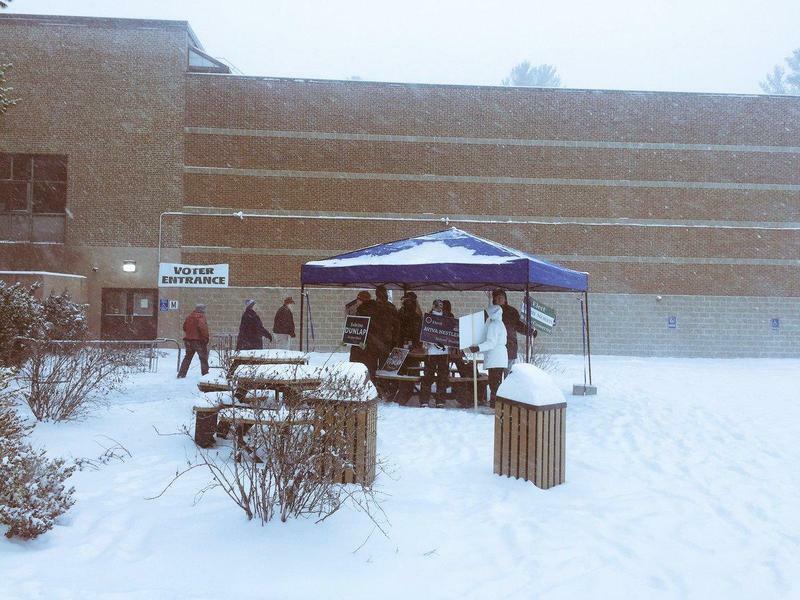 Town elections are going ahead as normal across New Hampshire today in spite of the weather. That’s in large part thanks to a memo from state officials that told local governments they do not have the authority to reschedule their elections. Many local officials, including Durham town administrator Todd Selig, have expressed frustration at that interpretation. 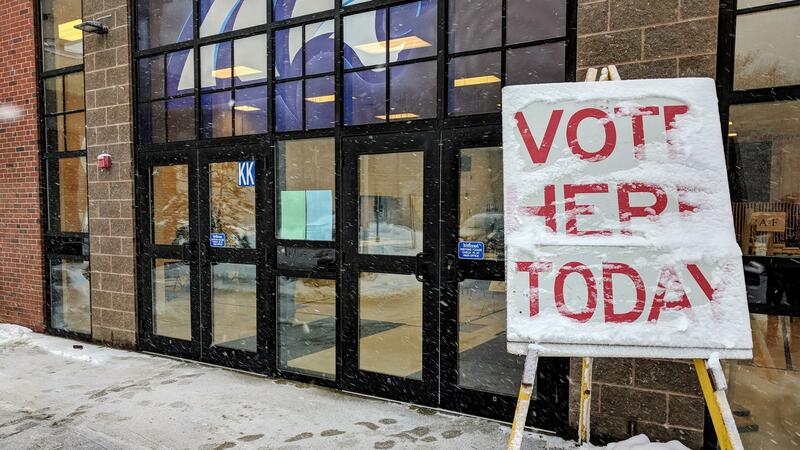 In Bow, voter Beverly Griswold says nothing stops her from doing her civic duty. "It's my right to vote! I always vote." Last year, she says, she was out holding campaign signs despite the storm. This year, Bow state representative Bill Kuch was doing that for friends running for local office. "It's voting day! Just like it was last year, the same thing - snow, except it's a little windier." Annie Ropeik is in Bow, where a decision on the gambling game Keno and contested races for selectboard and budget committee brought out a steady stream of morning voters. Turnout so far is lighter than last year, says moderator Peter Imse, but still not bad. "The voters are getting in, the roads aren't too bad yet from what I hear, and we'll carry on like we're supposed to." Bow did see a run on absentee ballots this year, once news of the snowstorm spread. Imse says he wants to make sure voters stay safe today, with the recent state mandate that towns NOT postpone elections due to weather. But he's less worried about town meeting. "I think by tomorrow night things will be cleared out and the Yankees will all be able to get out and get to the meeting and it shouldn't be a problem." A snow-covered sign outside Oyster River High School in Durham. In Durham, turnout was slow this morning. 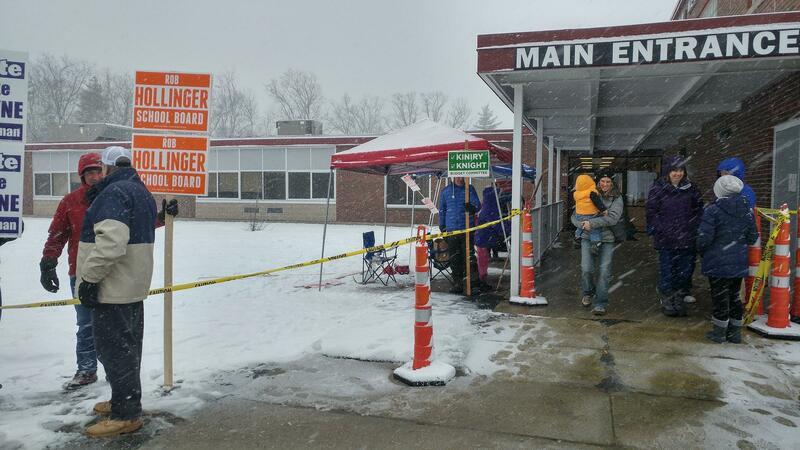 But there were some intrepid voters like Wally Bothner who trekked about a mile and a half through the storm to cast his ballot. Voter turnout in Durham was also likely affected by a lack of controversy. None of the town positions being voted on are even contested. Durham police are offering rides to any voters who don't feel safe driving to the polling place. Communities across New Hampshire spent Monday scrambling to prepare for what’s looking like another snowbound town meeting day. They've been lining up extra plow routes to ensure a safe path to the polling place. 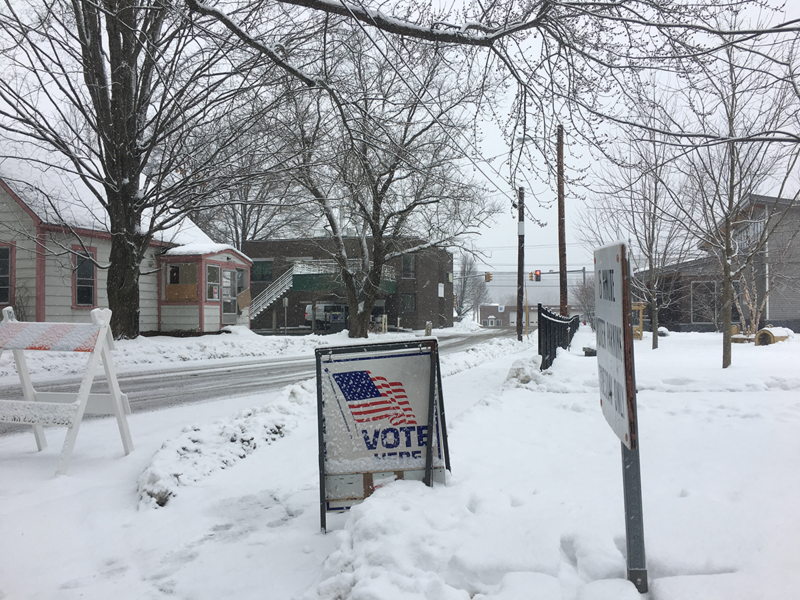 Candia Town Clerk Christine Dupere said the looming winter storm presents challenges not just for voters, but also for election day volunteers. Just last week, the State Senate approved a bill meant to clarify some of the confusion around when towns should be able to reschedule, for weather or otherwise. But that bill still has a long way to go before it's law. 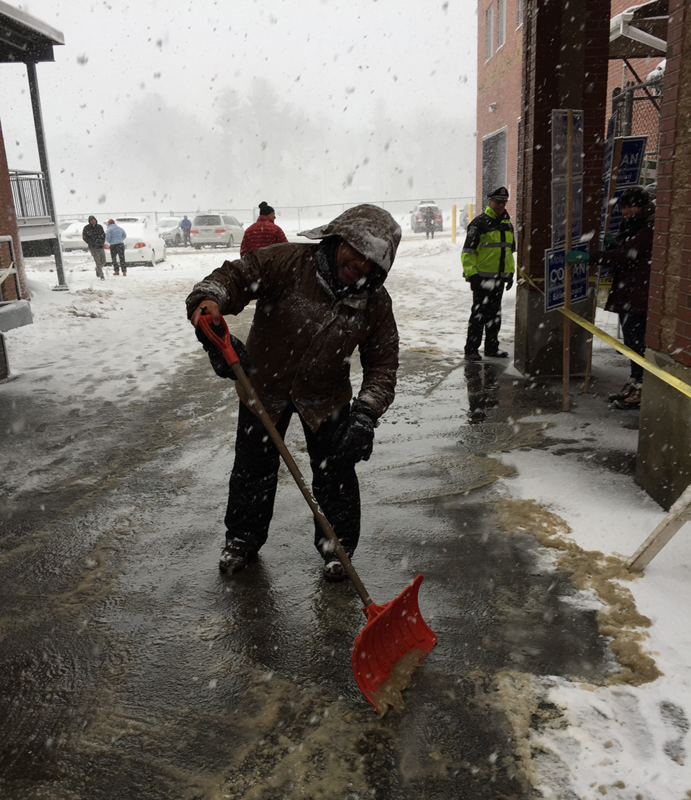 With more than a foot of snow forecast in some parts of the state on Tuesday, it feels like déjà vu for many towns who had to scramble to accommodate a late-breaking nor’easter that swept in on town meeting day in March 2017. Map: Which N.H. Towns Have Approved KENO? Seven cities approved Keno gambling last November and 77 towns will put the question to voters at town meeting on Tuesday--and later this week, according to the N.H. Lottery, which oversees Keno 603. Thirty-six towns OK'd Keno on Tuesday, while nine rejected it. On Town Meeting day tomorrow, several communities across New Hampshire will vote on whether to offer full-day kindergarten in their local school districts. 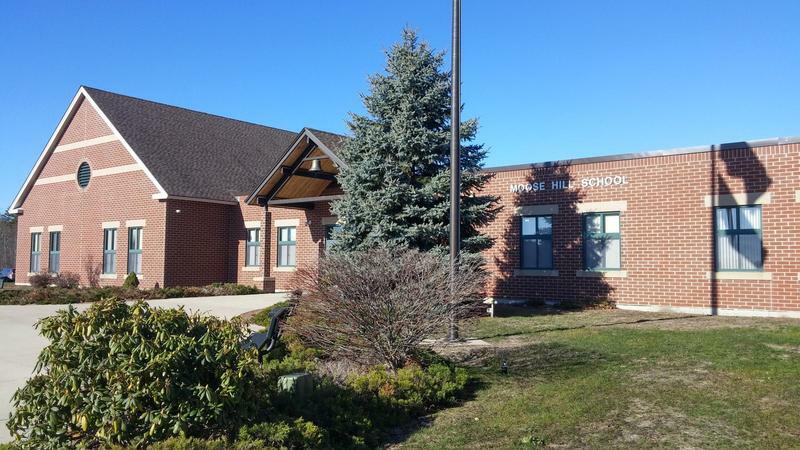 It will be the first time towns vote on the issue since lawmakers in Concord approved a program that provides state money for full-day kindergarten.